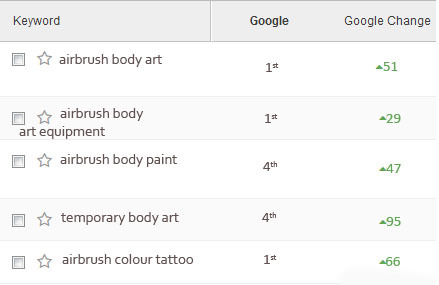 Airbrushart had some problem with traffic and rankings ever since they initiated their search engine optimisation efforts. Airbrushart is one of the best supplier of airbrush body art equipment and inks. They have a great and intuitive website with incredible features for its visitors. It has creative design with interactive interface. They have created a helpful website in order to address the changing needs of people. 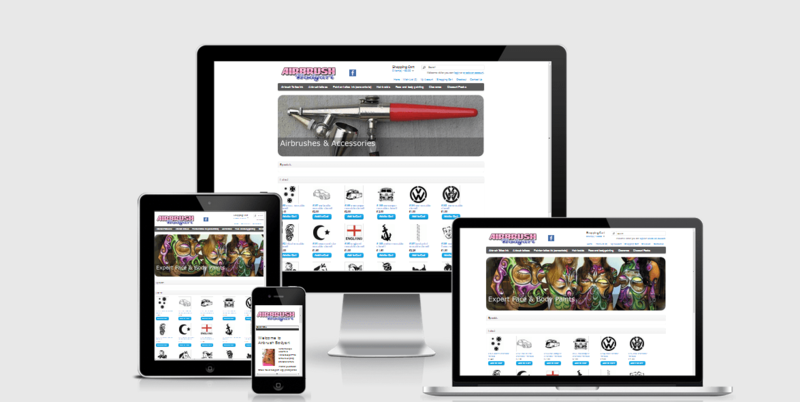 They even provide inks, stencils and much more on their website. In addition to that, they provide friendly advice to set up a new tattoo business. Some of their latest products include a fantastic airbrush hybrid face and body paint, etc. 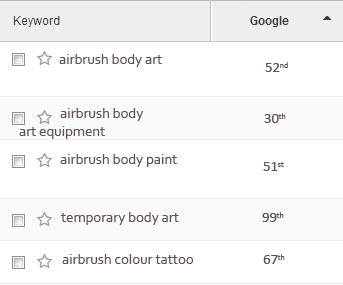 Despite having everything (online assets and resources), Airbrushart had some problem with traffic and rankings ever since they initiated their search engine optimisation efforts. However, after pushing so much efforts and ardent work, their website failed to achieve its desired objectives (financial, operational and strategic goals) and remain mediocre. In fact, the major setback was its prime keywords and main product category pages are no where on SERP. 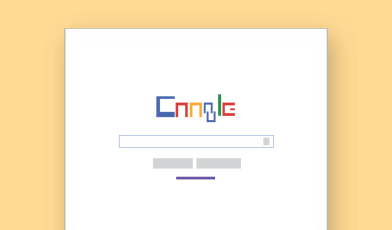 But, Google has ranked some of its low competitive keywords. We carefully planned a strategy according to its business needs, competition and emerging market trends. Of course, it took time, but we have devised a sound, actionable and exhaustive plan of action and effective blend of solutions to break the ice. We categorised the website and its core pages. 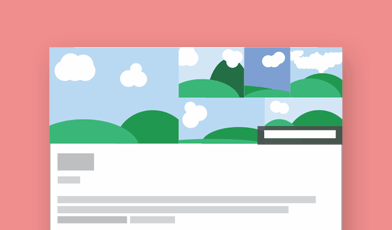 We mindfully studied landing pages and measured against the SEO industry norms. We simplified the navigation structure and incorporated breadcrumbs. We help the website to realise its full potential and enable it to harness the market opportunities. On ground level, we eliminated the internal and external duplicity along with certain pagination issue persisting all across the website. 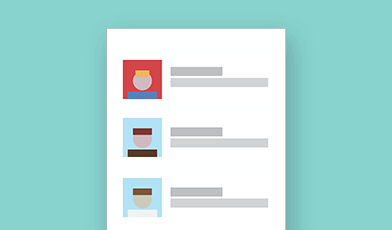 This made the website even more flexible, readable, and accessible. We carried out comprehensive SEO audit in order to fine tune the whole website and its inherent infrastructure in order to gain cutting edge advantage. In a nutshell, we made the website search engine and SEO friendly. Just after the implementation of our suggested changes, the website showed drastic improvement. It started gaining prominence from the major search engines and improved its overall conversion rate, as well. In fact, within a month most of our enterprise level SEO efforts, the keywords started performing well and touched the height of success (started getting visible in top 10 positions) . This has not only improved the overall visibility, but also increased its brand value significantly in the market. 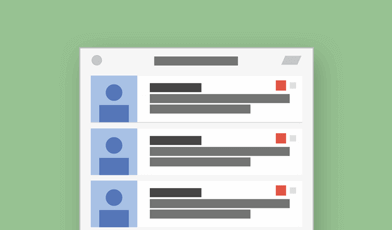 On top of that, without allocating an excessive amount of budget, the website has seen a dramatic increase in organic traffic, as well as new requests from visitors. There were many keywords that showed ultimate improvement.